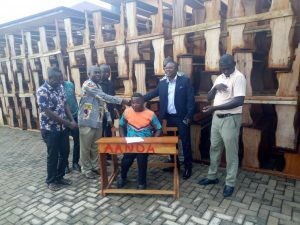 Chief Executive for the Asante Akyem North District of the Ashanti Region, Francis Oti Boateng, has presented furniture to the District Education Directorate for distribution. The furniture, which comprise 500 dual and 200 mono desks, will be distributed to schools in communities within the area. The gesture was part of efforts to improve teaching and learning as well as ease congestion in the schools. Speaking at a short ceremony to hand over the furniture to the Directorate, Mr. Oti Boateng said he was committed to improving education in the area to complement President Akufo Addo’s pledge of ensuring every Ghanaian child has access to quality education. He said the President’s vision towards the sustainability of the Free Senior High School policy could only be realized if the basic level of the country’s education system is strengthened. He therefore pledged to provide the necessary resources for schools within the Asante Akyem North District as part of his efforts to make the President’s vision of improving the quality of education possible. 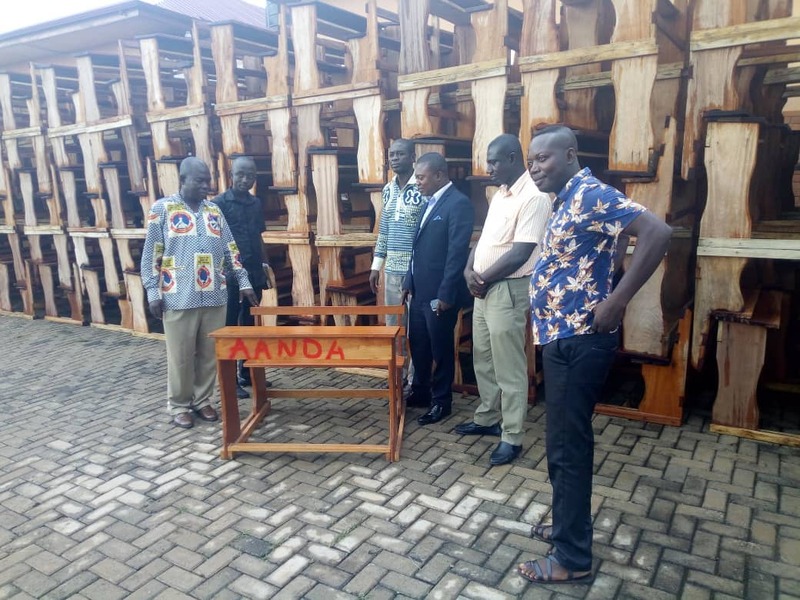 “This donation has become necessary due to the numerous calls and appeals from some head teachers and some key authorities when I toured the communities. 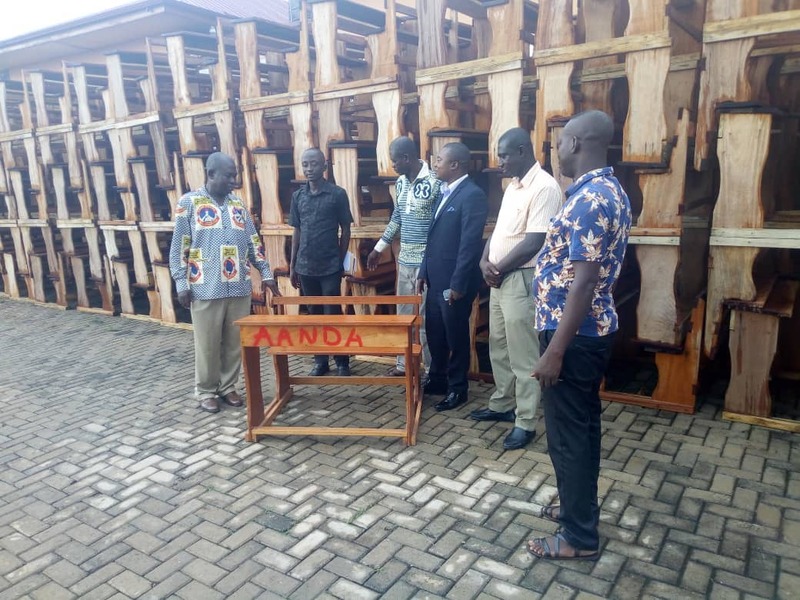 To help Government to fulfill its Ghana beyond Aid agenda by providing the desired quality education, a total of 1500 furniture will be provided, of which the 700 desks have been presented today. This is the first phase and the rest will follow soon”, he explained. The DCE also pledged that he will do more by providing infrastructure, teaching and learning materials and the needed resources needed to improve the quality of education within the District. Asante Akyem North District Director of the Ghana Education Service (GES), Ernest Kwadwo Afari, thanked the DCE and the Assembly for the gesture. He assured that his outfit will distribute the furniture fairly and also ensure they are well maintained. 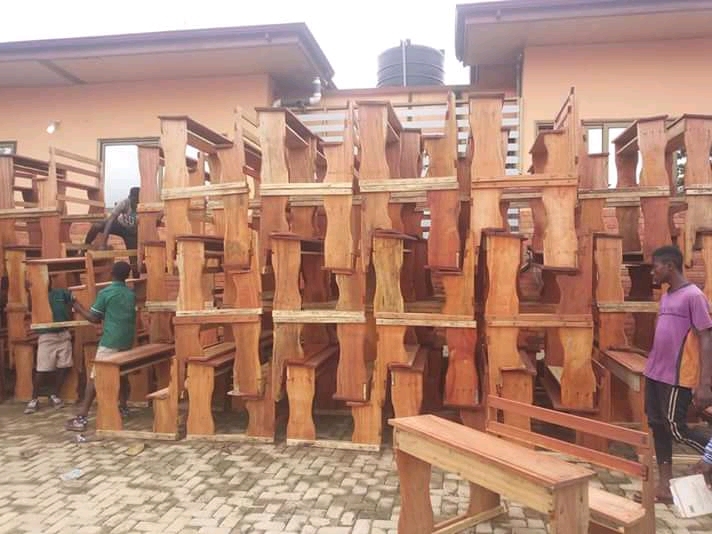 The post Asante Akyem North DCE presents furniture to schools appeared first on Citi Newsroom.